Ok, so I’m on a cruise and writing a blog about technology. I’m not weird; I’m a CIO – same thing, right? At sea with two girlfriends who work for NASA on our annual winter vacation. Maybe there’s something about working at NASA that makes us overly integrated with Information Technology. 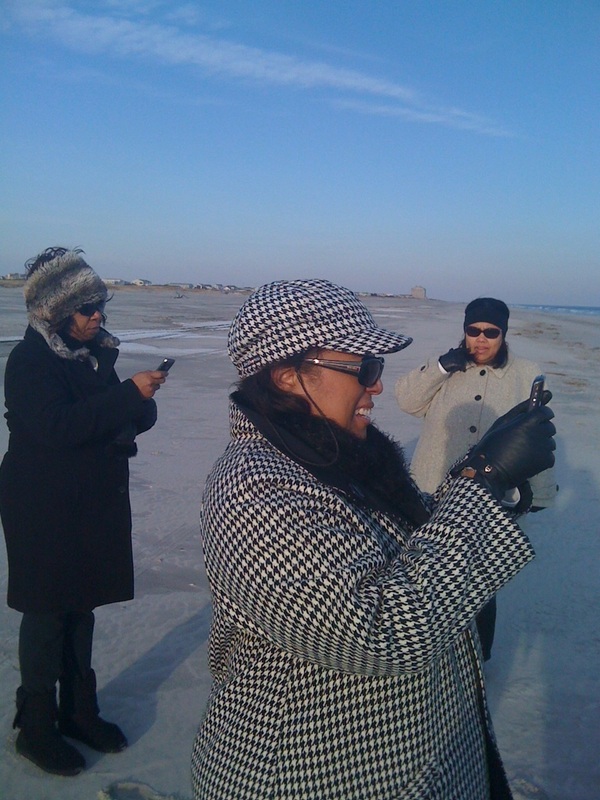 Attached here is a picture of Stephanie, Tonjua, and I on a New Jersey shore overlooking Atlantic City in extreme gratitude of a much-coveted cell phone signal. Or perhaps “bleeding NASA blue” means more than just a mindset, it’s a lifestyle. I went as long as possible before I finally turned data roaming on so I could check my email. Email is like crack … it hooks you and is addictive, especially if you get hundreds per day. After the email finished downloading, I thought I’d peek at just a few only answering the most important ones. After a while, I got sucked in and the tempo of my replies started to increase exponentially. Finally, I got a nasty reply from my special assistant, Jason. WILL YOU STOP REPLYING AND SENDING EMAILS — YOU ARE ON VACATION! Oops. Busted. I got revenge the next day though. He asked me to approve something really quick. Sadly, I had done a reset system clear on all the passwords stored in my head. I guess life somehow will go on. We were blessed on our cruise to share a table with Brian D. from Baltimore. Sometimes, it’s a crapshoot about who you get matched up with during dinner, but this time we got lucky and were with him and two of his lovely friends, Aunt Erika and Aunt Veronica (who we found out hits back). The Divas and I invited them to an event coming up soon and Brian said he would “…have to check his book, which is up in the cabin”. A book? Yes, he does not have a cell phone or a smart phone and uses paper and pencil to keep his schedule. That was a jaw-dropping moment for sure. But, as a thought of it and reflected all the Enterprise Calendar problems I’m dealing with, maybe his technology works better than NASA’s. Compare and contrast this with our laugh of the week from girlfriend and cruise mate Tonjua. Earlier this month she was waiting for the designated time to pick up her daughter Maleah. Out of the blue, she got a call from her 10-year old. After checking the caller id, Tonjua questioned her about what phone she was calling from. She declared it her phone. Maleah’s mother reminded her that she did not and could not have a cell phone. The young tween then explained to her mother and NASA Enterprise Architect about how she found the app on the internet that works with the new iPod Touch she got for Christmas (based on specific engineering requirements she gave to Santa Claus). She told this maternal technologist that she has unlimited texting and ten minutes of voice free each month. Mom is devastated. Now she has to impose security restrictions on the application layer! Finally, I learned a bit about security from my fellow cruisers. This cruise happened a few scant days after a disturbing cruise disaster at sea. In IT Security, CIO’s spend a lot of time with “check the box” compliance. We do all kinds of things to make people feel secure – 12-character passwords, two-factor authentication, and nice familiar logos giving assurance that someone is looking out for you. However, at the end of the day, we need to look out for ourselves. The cruise is always started the lifeboat drill. Most passengers merely tolerate this annoyance and view it as a delay for their week of fun. This particular cruise, the Baltimore passengers were even more annoyed because it interrupted the last two minutes of the playoff game between the Ravens and the Texans. Cell phones were forbidden and we had to line up at our muster stations and listen to the obligatory safety instructions. But, this time, a hush came across the crowd as the captain explained the procedures for evacuation and use of the lifeboats. I felt even safer knowing that others, like me, were figuring out how to use the lifeboats themselves. I guess the Technology Divas might survive this week with limited use of technology and television. Hey, but someone on the back row did sneak in their cell phone during the lifeboat drill. We were getting intermittent game highlights sandwiched between important safety information. Houston had a problem that day, because Baltimore beat them in a game exciting to the very end. NASA launched apps@NASA (http://apps.nasa.gov), a website where NASA employees and contractors can download mobile apps that securely access NASA systems. These apps enable our users to perform critical job functions at anytime from anywhere via personal and NASA mobile devices. A wide range of services are available under NEACC’s Center for Internal Mobile Apps (CIMA). This includes the ability to host, distribute, and provide support for internal mobile applications; the ability to develop internal mobile applications for NASA mission needs; and the ability to provide secure NASA-approved methods for authentication and access to Agency internal resources. Even though apps@NASA is only available to NASA employees and contractors (don’t you wish you worked at NASA? ), the use of internal apps stores has a broad interest. There’s a lot of debate in the IT community relative to the use of mobile devices in the workplace in general. Whether or not IT providers are ready or not, mobile devices both enterprise-issued and personally-owned are in the workplace. This service advances us a bit further beyond debate and into the world where IT service providers must enter – a world where the driving force of technology and customer expectations advance faster than policy and procurement cycles and the restraining force of security and legal issues like e-Discovery and records management keep our feet firmly grounded in reality. Managing diversity like this is where CIO’s tread carefully. apps@NASA is a first small step for the mankind that work at NASA into a daunting world where customer expectations are measured in hours or minutes and not in 18-month software develop lifecycles. Information overload? How many accessible and scalable communication techniques in social media can be utilized effectively to collaborate … and in NASA’s case, push the frontier of space exploration? It’s now been one week since we launched the NASA Google+ account and NASA has seen an overwhelming positive response. We were impressed with the rapid growth of the NASA presence on the Facebook and Twitter platforms, we do have the data for each platform at the 20,000 mark. It took #NASA 469 days to reach 20,000 followers on Twitter, 276 days on Facebook, and only 4 days on Google+. As of this morning, between the three platforms, NASA has a combined reach of 2,264,854 (1,605,159 on twitter, 625,459 on Facebook, 34,236 on Google+). With NASA’s almost 35,000 followers on Google+, NASA is the third most popular non-Google page (http://socialstatistics.com/top/pages). What’s more interesting than the number of followers on the Google+ platform, is how active the community has been. In the first week of use, NASA posted 53 times to Google+. These posts generated 18,854 +1’s, 7,969 shares and 1996 comments. The most popular post was the time lapse video from space (https://plus.google.com/u/0/102371865054310418159/posts/Bpb9wRt7SDp?hl=en). There are a lot of possibilities for innovation through social media at NASA and this level of activity on this new media platform confirms there is still space to experiment and grow. In the next few weeks, NASA will continue to share our amazing and iconic imagery, but we are also planning on hosting hangouts with our scientists, engineers, and maybe even Astronauts! Our first hangout will be on Monday November 21st at 3pm ET with our Open Government Initiative. We’ll be discussing Open Source, Open Data and Social Media. We’d love to hear what ideas you have on how NASA uses social media and invite you to share your thoughts here or on any of our NASA social media platforms. Our world population has doubled in the past 50 years. We had three billion in 1959, four billion in 1974, five billion in 1987 and six billion in 1998. A little over one week ago, the human population on planet Earth reached seven billion. This marks an important milestone for our species. Fifty years ago, shortly before John F. Kennedy issued his challenge to reach the moon, we had just crossed the three billion mark. This expansion is a testament to our ability to produce, grow, and connect. Perhaps the most important innovation tying us together since then has been the advent of the public Internet. As we’ve grown and become more dispersed over the planet, the Internet has allowed us to instantaneously connect and communicate in new and exciting ways. Although we may still see the Internet largely as a productivity tool, or as a way to access information, it’s become so much more than that. It’s a collaboration platform that is bringing us together. With the acceleration of digital convergence and increasingly pervasive use of digital devices to access all manner of information, the Internet has become a platform for participation. Each second, the world’s information is increasingly sorted, sifted, and combined in various useful and creative ways by communities of people from all corners of the world. Platforms like Facebook, Twitter, and now Google+ are reshaping human interactions and helping us connect to one another. As an agency trusted with charting the universe and expanding human knowledge, NASA has long been at the forefront of using the Internet to communicate with and involve citizens in our mission of space exploration, scientific discovery, and aeronautics research. NASA had one of the first websites on the Internet in the 90s, obtained one of the first accounts on Twitter in 2007, and began Tweeting in late 2008. We have now launched our NASA presence on Google+ as the first government agency on the platform. This is an exciting step for NASA and we have already seen enormous interest from the Google+ community – we had over a thousand new followers in the first hour! We look forward to exploring this new engagement platform and innovating how NASA shares information. ACES is theend-user Services component of NASA’s InformationTechnology (IT) Infrastructure Integration Program (I3P) Program. It provides a consolidated solution fordelivering end-user services across NASA to achieve increased efficiencies andreduce costs though standardization and commonality. Efficiency is balanced with effectiveness in providingthe means to build specialized solutions when mission needs require them. Services provided include computing and mobilebundled seats, Enterprise-wide email, directory and printing services, andperipherals. Talk aboutthings that scare a CIO, nothing scares a CIO more than transitioning from oneservice provider to another. And Isuppose nothing is scarier than to blog about it just a few short days beforethe risky transition is about to take place. ACES, the $2.2 billion 10-year contract, was awarded to HP EnterpriseServices (HPES) of Herndon, VA. We willtransition from services provided through the ODIN contract and Lockheed MartinInformation Systems and Global Solutions (LMIS&GS). Both membersof the much-maligned “ITCartel” are up to the task and more than capable of doing the heavy liftingneeded for success. Thank goodness,because as the government seeks to streamline operations, we rely on our contractingcommunity more and more. Developing andnurturing a professional camaraderie is critical to having an ecosystemconducive to meeting government IT challenges. If all goeswell, this will be one of the biggest non-events since Y2K. If it goes poorly, then the scores oftechnicians and program managers who have worked feverishly over the last fewmonths will kick their contingency planes into gear. This is another example where failure here issimply not an option. 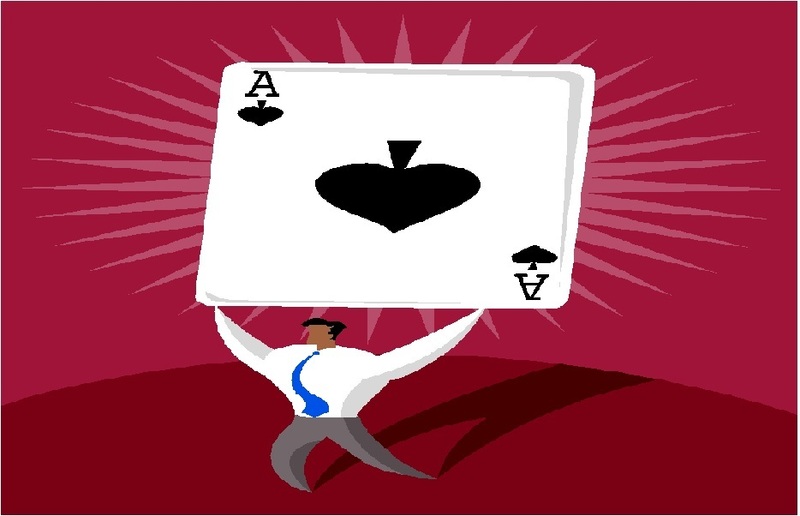 ACES movesus one step closer to addressing one of OMB’stop 25 issues by positioning NASA to enjoy economy of scale relative tocommodity desktop IT. This will also putNASA in a position to securely leverage trends in virtualization and consumer experiences. Morethan that, it gives the mission a way to get technology when they need it sothat they can focus on their specialized challenges. WithHalloween right around the corner, some pranksters really get kicks out oftrying to scare people. Do you want toknow how to scare a CIO? Here are somethings to try. Hah! 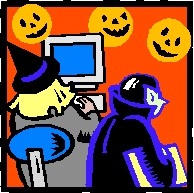 TheWorld Wide Web, Internet and similar spine-chilling crawly things are stillscaring CIOs. Except that now we haveescalated our fears because of that creepy menace called cloud computing. Cloudcomputing is elastic, scalable, on-demand services available through theInternet. When I was a young child, mylittle brother David would climb a tree and dip an old mayonnaise jar into atent of gypsy moth larvae – aka CATERPILLARS. He’d then pull out the most disgusting thing in the world – a jar fullof wiggly caterpillars. Fortunately, mymother banned creepy crawlies from the house where I could always make a saferetreat. CIOs are still trying to banthe creepy crawlies from their house. I learnedthat it was really not so bad, I just had to be a big girl and quit letting mybrother scare me. Grown-up CIOs will dothat naturally. Another oldsaying tells us that nothing beats a failure but a try. But, when you are leading major initiativesin your organization, nothing is as scary as seeing a legacy of failures frompast attempts. What was that noise? Oh, it was the bloodcurdling sound of projectmanagers who had to deliver results with insufficient time, budget, orpeople. Rather than just trip over thegraves of past failures, CIOs need to take a few moments and learn from them. CIOs arealways trying to improve the reputation of the IT organization. And let’s face it, there’s always room forimprovement. But sometimes, there are cultural barriers that just continue tohaunt us and leave us petrified wondering which way to run. I tried this trick once – I have to admitthat I may have watched too many episodes of Dark Shadows as a teenager. Ionce called a meeting and told the group we were going to have a séance. We exorcised the ghost of the former project managerand section head. They were stuck in thepast with old issues that were long laid to rest. However, they kept reliving what went on beforeso much, it was almost impossible to move forward. The séance worked and we were finally able tomove on. Just like theHeadless Horseman rode around wreaking havoc on the denizens of Sleepy Hollow,the bad leader will menace the organization as they run around in variousdifferent directions. Barbara Kellermantalked about this kind of leadership as toxic. In particular, she considered the traits to either/or insular,intemperate, glib, operationally rigid, callous, inept, discriminatory, corruptor aggressive. There’s somuch more to add, but for now, I am finished this blog. Alas, I think I have to sleep with the lightson tonight! A trailblazer is a pioneer or someone who is considered a first in their area of expertise. As leaders, they point the way, take the risks, and change the environment. They have a vision for a different future, a faith that turns their dreams into reality, and a determination that cuts through barriers and obstacles. The Wright Brothers overcame obstacles of aerodynamics so that man could have wings. Grace Hopper handled hexadecimal hurdles to make the computing machine accessible and practical for business. And the late Steve Jobs gave us innovations putting wings on computers taking the everyday consumer to new heights. So how does a person become a trailblazer? In particular, how do you blaze a trail? Well….look it up at http://www.wikihow.com/Blaze-a-Trail. Here are the steps (seriously, these are listed) you’ll find. I add my thoughts for applying this in your leadership walk. 1. Assess the density and type of foliage the area has growing and equip yourself with the stuff from the “Things You’ll Need” accordingly. Trailblazers are known for being innovators. Those people who do things that have never been done, create things that never existed, or perform in ways unimaginable. In their Harvard Business Review article, Clayton Christensen and others in The Innovator’s DNA discuss some of the key skills that innovators have as part of their makeup. They question status quo and challenge assumptions. They welcome problems and gain momentum by overcoming them. These trailblazers are also very observant, understanding the culture that they operate in, looking for customer needs, and being mindful of small details. Trailblazers have the personal qualities of strength, courage, and resilience causing them to be relentless in their pursuits and embracing and learning from failures or setbacks. They are prepared so that they can perform their personal best to deliver what’s required of them. Lou Gerstner in Who Says Elephants Can’t Dance emphasizes the need for an executive to bring with him the entire arsenal of their leadership skills, maintain clear and consistent focus, and be superb at execution in order to lead change in their organizations. Trailblazers bring everything they have to accomplish their goals. 2. Plan the width of the trail. If it’s a private trail, it only has to be about a foot (30 cm) to a foot and a half (46 cm) wide, just enough for a single file line of people to go through. If it’s going to be a public trail, make it wide enough for four hikers abreast. Many people erroneously believe that innovation and trailblazing have no place in the public sector. This is because of how things like profit and shareholder value work to provide the motivation and imperative for change and innovation. However, currency of the public sector is politics. Trailblazers in the public sector need to understand the impact of this political economy and the importance of the stakeholders. This means that matters that improve life, liberty, or the pursuit of happiness motivates much of the innovation in the public sector. And what about bureaucracy? This requires trailblazers in the public sector to consider innovations, processes and workflow as they move down those paths least taken. This causes them to look at bureaucracy as a path towards implementation. Public sector trailblazers create new structures and rules to govern their pioneering concepts. They seek ways to blaze through trails while keeping us safe, auditable, and secure. 3. Plan the direction of the trail. Check to see if any unmovable obstacles, such as fences, boulders, large trees, or streams will disrupt things. I had a boss who when discussing organizational change would always say if you can’t change the people, change the people. After a few beats, I figured out what he was saying. You need to have the ability to find out which obstacles continue to hinder change and address it … whatever it is. It could be people, laws, or technology challenges. But whatever they are, they must be overcome if you are going to blaze that trail. 4. Cut down or flatten all trees and bushes to make the path. Leave some plants growing at the entrances if you want to make it a hidden trail. Trailblazer Grace Hopper exemplified this as she created new languages and algorithms to use with the new digital computing machine. With her team, she resolved problem after problem—and flattened bush after bush — until she got the results that were needed. She was always willing to credit others for achievement and enjoyed working in the background. She preferred the hidden trail of not always asking for permission to do something and advocated asking for forgiveness instead. 5. Clean up the dead bushes. Remove and rocks that could trip people. As you blaze a trail, you can’t just walk away once you think your job is done. You have to make sure that others can follow the path you blaze. Nancy Barry is an innovator in banking who was quite active in the mission of eradicating poverty by empowering low income women globally. She was selected as the Forbes Magazine 2003 Trailblazer in recognition of her accomplishments. Barry was a pioneer in microfinancing – investing low dollar amount loans for women to help them climb above the poverty line. Microfinancing specialized in microloans – small loans, $500 on average, to help entrepreneurs do things like buy fertilizer for a crop, payroll for an office, or raw materials for items to be resold. Barry was an advocate of helping eradicate poverty by educating and exciting these budding trailblazers. Her goal was not just lending money to poor struggling women, but to serve them by creating a self-sustaining economic engine that would deliver value. · Watch out for poisonous plants and animals and thorny bushes. · Nature preserves are government property. There’s a saying that warns you never to pick up a snake because if you do, you can’t put it down. As you go down the trail, be careful to maintain your values and integrity. Picking up a snake to make your path safer always proves to be a bad idea. What you are doing is disruptive. If you think that you aren’t going to “rock the boat”, forget it! However, watch out for what is sacred and should be spared. These are things that are important to a culture and to an organization. You’ll need the clippers and ax for many of the steps above, but don’t forget your shovel. You’ll need this so that you can rely on more than your five senses to cut through the … what I meant was to shovel the ….well, maybe I should just leave it at that and end this instructive rant. I recently became the Co-chair of the Federal CIO Council’s Architecture and Infrastructure Committee. Though I’m new to the gig, I can see similarities between this role and leadership roles I’ve had at church. Sure, some enterprise architects are zealots about what they do and what they believe in, but the real similarity comes in leading volunteers when you have no direct control or authority over them. For this reason, when people ask me what’s the best way to get experience as a CIO, I always suggest that they volunteer for leadership in the Information Technology programs at their church or community. While serving in my church’s IT Ministry, I found that if you can get a bunch of set-in-their-ways Baptist deacons and trustees to migrate to a new church membership system, you can implement an enterprise resource planning system. In this case, I had to convince them that it would be Divine Will that we upgrade to a more modern system else we burn in the eternal hell of non-Y2K compliance. It worked and we modernized our old church membership system. · Thou shall consider cloud computing solutions first before buying a dedicated infrastructure for your application. · Thou shall not bare false witness to other IT investments and demonstrate value producing desired outcomes consistent with your business case else you risk termination and eternal damnation. · Thou shall run securely and not make wrongful use of any data entrusted to you so that thy days may be long. And finally, people want to have hope for tomorrow and vision for a better future. My grandmother used to say that everyone wants to go to heaven, but no one wants to die. That means that we often want benefits without making a commensurate sacrifice. In IT speak, that means we want to reduce the cost of what we spend on IT, but we don’t want to sacrifice value of the services and capabilities we get. But in order to get to IT heaven, we need to die to duplicative infrastructures and “one-off” spending and believe in economies of scale and shared services. Of course an enterprise resource planning system is much more complex than a church membership product and an agency Web portal has more multifaceted considerations compared to a homeowner’s association newsletter, but the foundational leadership skills are the same. These skills allow leaders to bring people together over whom they have no authority and align them along a common set of principles or beliefs by building a sense of community. Leaders at all levels have to have these capabilities in order to turn vision, hope, and dreams into reality. We can learna lot about leadership from horse holders. They show us the importance of leading frombehind. Many associate leadershipsuccess with fame, fortune recognition, and scores of admiring followers. But, we need to remember the inspirationalinstruction from these vital leaders who are often alone and nearlyundetectable. Horseholders perform essential duties in a battlefield. During combat, the noise from cannons andguns would spook the hoofed infantry causing them to run away from their ridersto safety. These loyal horsemen wouldstand in the rear dutifully clutching the reins preserving this most valuablebattle commodity. Leading frombehind describes a leadership style that puts others first. It understands the value of nurturing andtaking care of followers. Itaccomplishes much while taking credit for very little. These leaders are dependable, trustworthy,and extremely competent. They performlike the quarterback who throws the winning touchdown pass but acts like acheerleader encouraging and praising the victorious receiver. Jaded. Limping to theholders in the rear. Only fading soundsacross the field. Wiped the sweat marks fromhis cheeks and neck. They washed his knees andhocks and pasterns. Ancient philosopherLao Tzu describes them as the besttype of leader who people do not notice and “… When the best leader’s work isdone, the people say, ‘We did it ourselves!’ To lead the people, walk behindthem.” Maybe what the world and the workplace need now are more horse holders –these unsung heroes who are critical in every victorious battle and standing inthe rear. 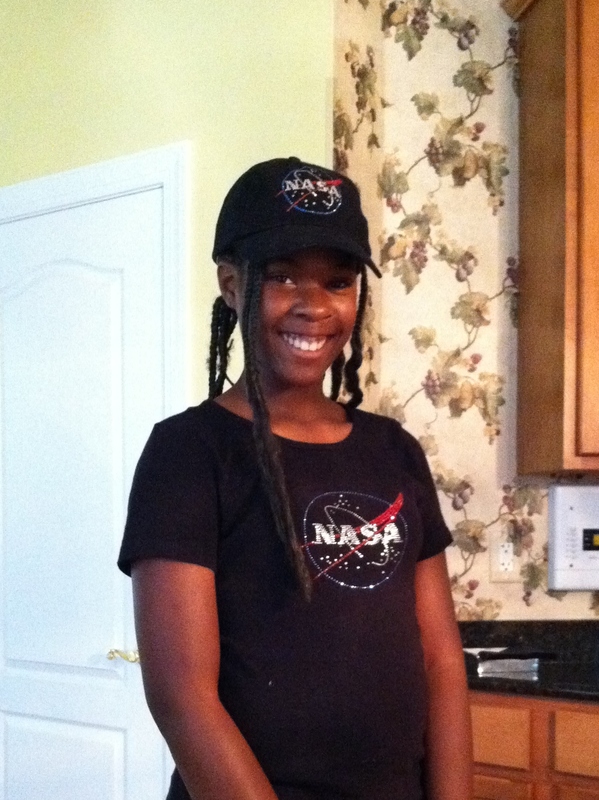 Alyssa is a rising 6thgrader from Wilton Elementary School in Creedmoor, NC. Mr. James Stranix was her scienceteacher. She will be attending G.C.Hawley Middle School in Creedmoor, NC. in a few weeks. During the summer, Alyssa’sparents ask her to read newspaper articles and write reports. Alyssa provides her reflections below on the NewYork Times article TheShuttle Ends Its Final Voyage and an Era in Space. We had agreat run with great memories and accomplishments, we achieved theunthinkable. We built the 1st shuttle and we built the last, we have donewhat people thought would never happen. Rest in Peace to the people whoaren’t alive to see it, God Bless the ones who were. For thosewho saw the last shuttle go into space saw our legacy, saw what we worked sohard to achieve. They saw the shuttles that prevailed and the ones thatdidn’t have as much luck. They witnessed Neil Armstrong land on the moonand when he stepped onto that huge rock that changes our planet so much he saidthe famous words, “That’s one small step for man, one giant leap formankind.” and he was right. That gave us hope, which gave us dreams,which started our story of how we entered the wonderful world of Space! We will never forget those words and we will never forget the brave people whodied trying to get to the place we all want to go, space, the finalfrontier.